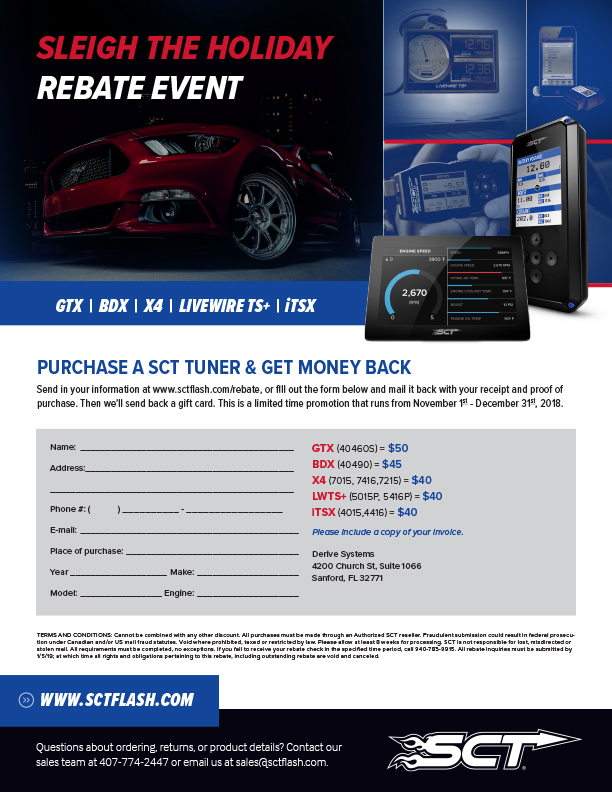 From 11.1.18 through 12.31.18, SCT Performance is offering you CASH BACK! 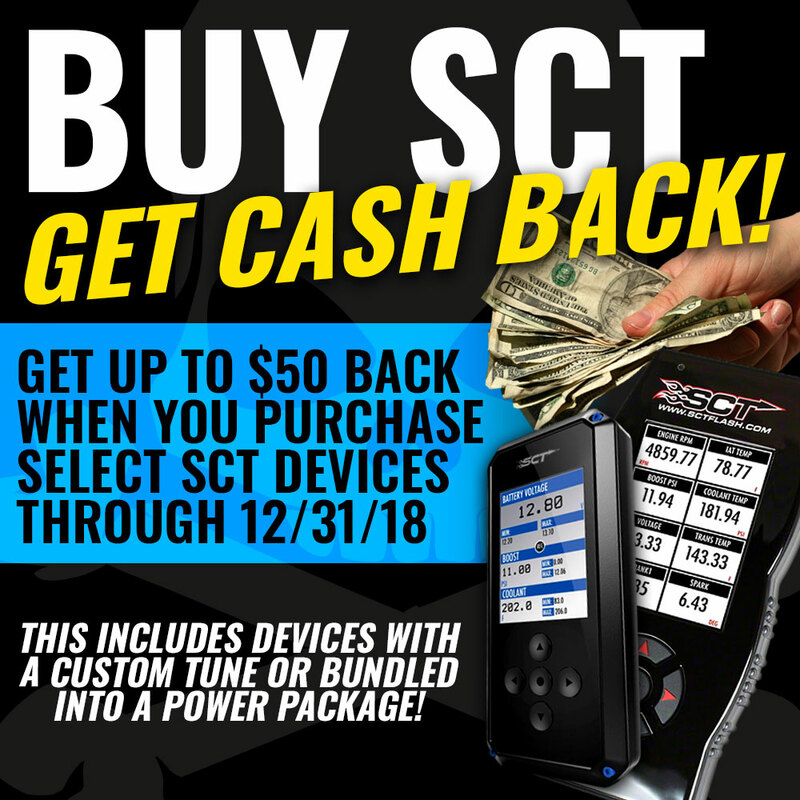 Earn up to $50 back on select tuner purchases from SCT Performance. Buy an SCT X4, get $40 back. Click here for an X4. Buy an SCT BDX, get $45 back. Click here for a BDX. 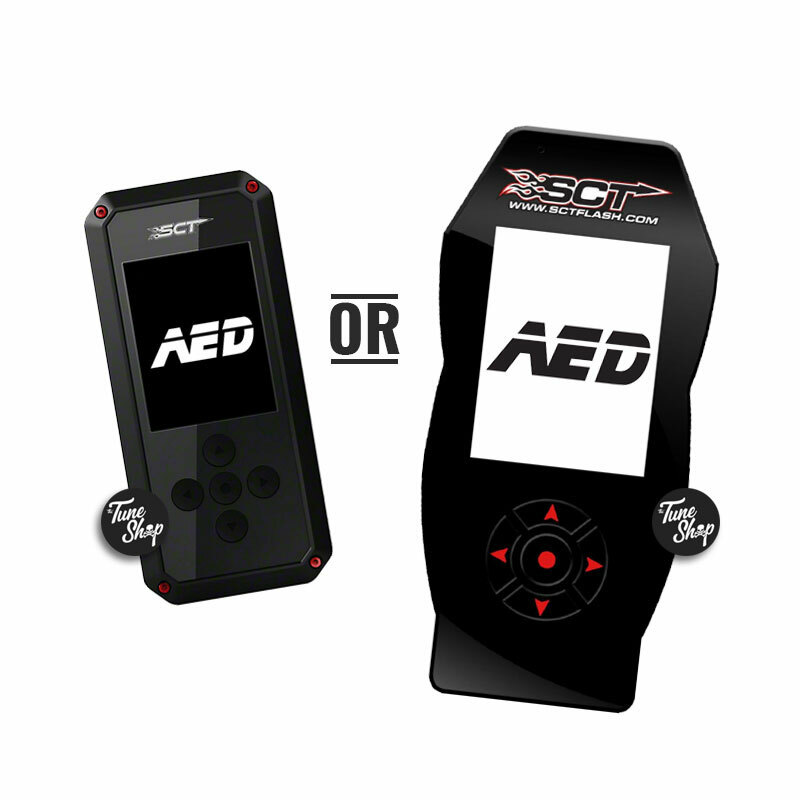 Buy an SCT GTX, get $50 back. Click here for a GTX. Buy an SCT iTSX, get $40 back. Click here for an iTSX. Buy an SCT Livewire TS+, get $40 back. Click here for a Livewire TS+. This includes devices with custom tunes from the badass tuners of The Tune Shop! Want to check out some power packages? Head to your Vehicle's section or click here!